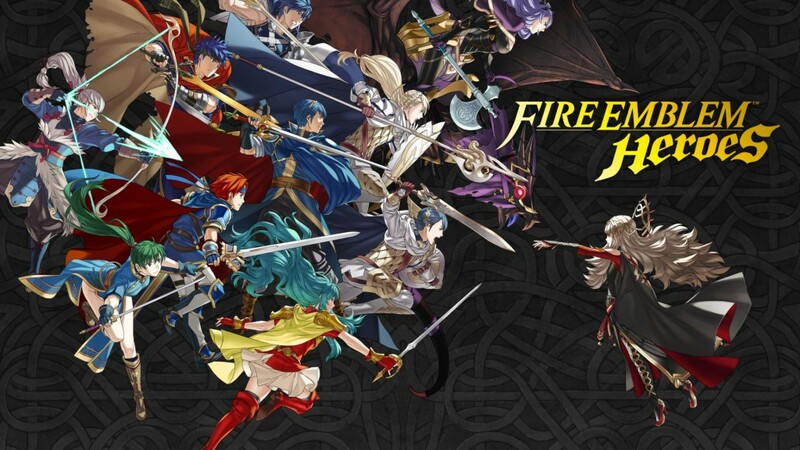 Fire Emblem Heroes marks the third time Nintendo has reached into their treasure trove of franchises, pulled one out and ported it over to mobile. Unlike Pokemon Go, however, which forced players to get out and look for monsters in real life, and Super Mario Run, where Mario had to constantly run to make the game work without a d-pad, Heroes does an excellent job of recreating the gameplay of it’s console counterparts. Plus, it’s completely free to play. 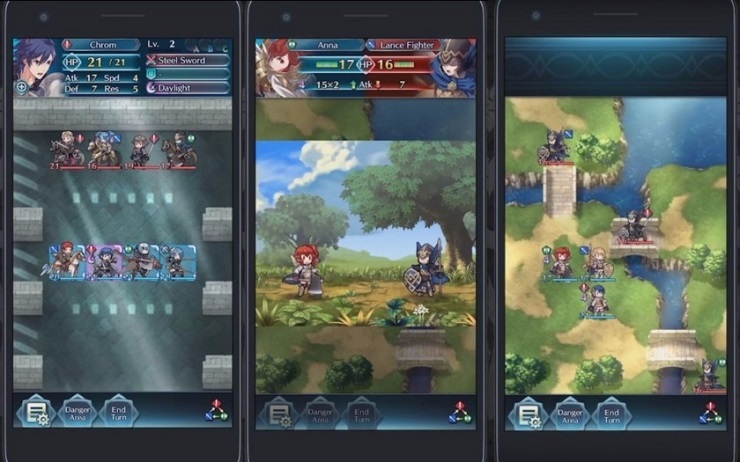 Fire Emblem regulars will immediately know the score with Heroes; every one of the turn-based battles presents the player with a battlefield on which your troops are positioned opposite a group of enemies. You and the AI then take turns moving your pixel-art units, each limited to a few grid spaces at a time, across the arena to reach and fight each other with the ultimate goal being the complete elimination of your foes. The biggest price of moving the series to mobile, it seems, is that these battles are much smaller in scale than their console counterparts with 4v5 being the grandest war you’ll fight in Heroes, but that keeps the game suitable for playing in short bursts, as a mobile game should be. Sadly, one of my favourite aspects is also missing: the ability to pair up fighters and build their relationships both on and off the field. There’s an extra layer of enjoyment for fans of Fire Emblem and even Smash Bros too, as the roster of fighters is almost entirely comprised of recognisable characters from previous entries in the series with Marth, Roy, Chrom, Robin and Lucina all appearing in significant story roles as well as being available to include in your party. The frankly paper-thin plot then revolves around the idea that you are a legendary individual with the power to summon these Heroes and lead them to victory with your tactician skills. You’ll then travel between the worlds of various Fire Emblem titles, defeating residents and freeing them from the control of the evil Veronica as you go. Newcomers to the franchise, enticed by the non-existent price point, will also quickly feel right at home as well, thanks to the very simple controls. Moving units is simply a case of dragging them with your devices touchscreen and, when holding onto a Hero, the game helpfully shows you where they’re allowed to move, and hovering over an enemy will even show you the outcome of a battle before you commit to participating in it. There’s also a Danger Zone option to show which spaces enemies will be able to attack on the next turn, if you should require it. Winning these battles is largely a case of pitting your fighters against the right enemies as each unit has a type and a colour, based on the weapon they wield with a simple Rock, Paper, Scissors system determining who beats what. As long as you pay attention to the helpful diagram in the bottom corner you’ll plough through the first few of the game’s nine chapters, but reaching the later levels will certainly require replaying some of the earlier ones to level up and perhaps switching up your team. Thankfully there’s an additional two difficulties for every stage in the game turning 45 battles into a whopping 135 and, aside from story fights, you can also tackle limited time Special Maps, the Training Tower and Arena Duels, against the teams of other players, to earn EXP. Nintendo have certainly been generous with the content in Fire Emblem Heroes, but in typical free-to-play mobile game fashion, accessing it comes at a price. Every story battle you partake in costs stamina, every arena fight costs a duelling sword, unlocking a random hero costs orbs and boosting extra levels requires shards, gems and feathers. There’s nothing in that list to worry about early in the game as all can be collected either through simply playing the game or turning it off and waiting, but as you progress the battles use up increasingly more stamina and you’ll want better, rarer Heroes on your team which means more Orbs and more shards to level them up. It’s only logical then that Nintendo have kindly included a shop where you can pay real world cash to restock your inventory, but it’s not particularly cheap. For example, 3 Orbs costs £1.99 which isn’t even enough for a single Hero, and don’t forget the Hero drops are random so you could easily spend a chunk of money and have nothing worthwhile to show for it. Despite that, Fire: Emblem Heroes is an entertaining albeit relatively simple strategy game that’ll suit anyone for their morning commute, whether they’re fans of the series or not. Just don’t come into it expecting an enthralling story or you’ll be sorely disappointed. 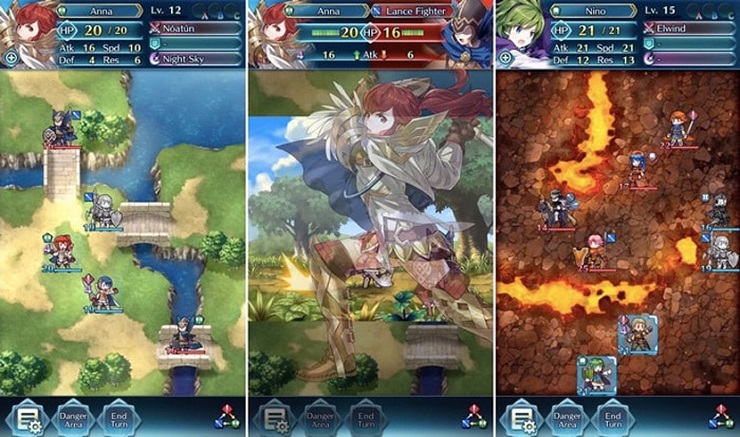 While the battles are small and the story is weak, Fire Emblem Heroes does a good job of bringing the series’ classic gameplay to the masses on mobile for quick, enjoyable bursts on the move.